William Charles "Ricky" Hamilton was born on March 11, 1951, to the parents of Carl and Carrie Hamilton in Munday, Texas. He was the tenth of eleventh children. 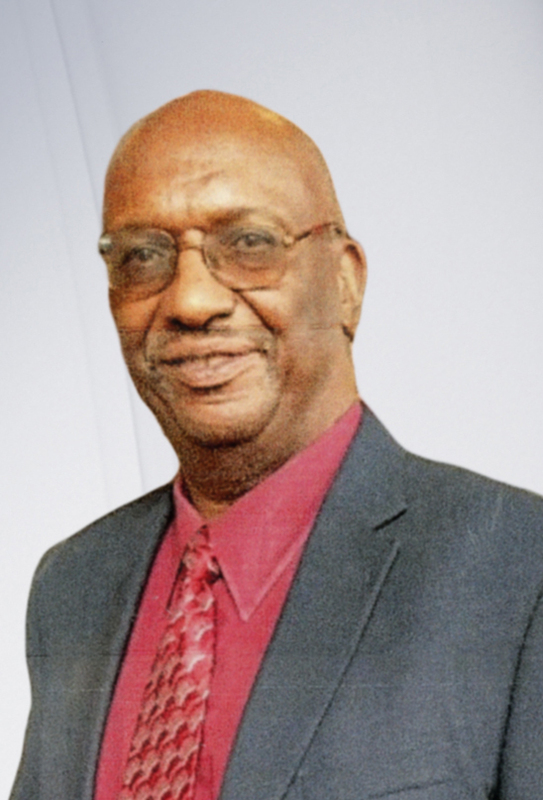 He attended Paul Laurence Dunbar Elementary School from first through eighth grade and graduated from Munday High School in 1969. Ricky developed his early leadership skills in his early years. Once, Ricky informed his third-grade teacher that his Mother requested him to bring his baby sister home early from school. This may have been partially true since Ricky was the big brother to his younger sister never doubted anything he said. The only indicator that something was awry was that our materialistic neighbor, Ms. Octavia noticed us and students saw us playing in our front yard before dismissal. This was Ricky"s first and only ditch day experience. While in school, Ricky participated in every seasonal sport-- football, basketball and track and field. Each summer Ricky earned extra money by working during the county wide vegetable and melon harvests. Harvests consisted of long days, and grueling work and Ricky was a reluctant farm laborer. Ricky's Mother told him, "Son, you better get a good education because you are too lazy to work." Following her advice, Ricky earned a full scholarship to McMurry University, Abilene, Texas for his athletic talents. College was an answer to Mom's prayer because Ricky would have been drafted for military service. In college, Ricky's leadership skills, athletic skills, and lifelong friendships thrived. He inspired all of us to strive for our goals and to help others. As a child, Ricky attended St. John AME Church where he accepted Jesus Christ as his personal Lord and Savior at an early age. Throughout his life, Ricky lived by two key principles from his mother-- "Always put God First. Trust in the good Lord and you will be okay." Secondly, "Never Lie." Tell the truth and you are finished with it." After his college graduation, Ricky moved to Los Angeles, California and continued his education with a Master"s degree from UCLA. He worked as a business programmer for Martin Luther King/Charles Drew Hospital, became an outstanding salesman for Pactel InfoSystems for 1986 and 1987; worked briefly for Microsoft. Finally, he worked as a substitute for different school districts until he found his career niche as a teacher Los Angeles Office of Education for 28 years and Central Juvenile Hall for 16 years in December 2018. Ricky loved spending time with his Mother and was very family oriented. He traveled home for all major holidays and reserved every summer for his travel, his parents, siblings, and host of nieces and nephews. On March 30, 2019, God called Ricky home. He is preceded in death by his parents, Carl and Carrie Hamilton; one sister " Doris Hamilton Burrell; one brother " Thomas Roger Hamilton, three nieces " Loyce Marie Coger, Marilyn Jo Garrett, and Sheila Annette Jenkins, four nephews " Markie Gowans, Anthony Williams, Raynard Jenkins, Frank Jenkins, Jr.; grandniece, Michelle Pollard and grandnephew-- Michael Pollard, Jr. He leaves to cherish his memories his sisters-- Alma Hamilton Taylor, Carrie Trevino, Leotha Jenkins, Annie Williams, Carlene Pollard, Betty Irine Hamilton, and Linda Hamilton -- other relatives -- a host of nieces, nephews, cousins, grandnieces, and grandnephews, and friends. The family of William C. Hamilton would like to thank you for the many acts of loving-kindness shown to us during our bereavement. Your thoughtfulness is deeply appreciated and will always be remembered.